He also alleged that freedom is under attack across countries like the United Kingdom due to Sharia law no-go zones, or areas governed by Islamic law that he believes are coming to America. When asked by a reporter where in the U.K. such no-go zones exist, Jindal was unable to name a single location. 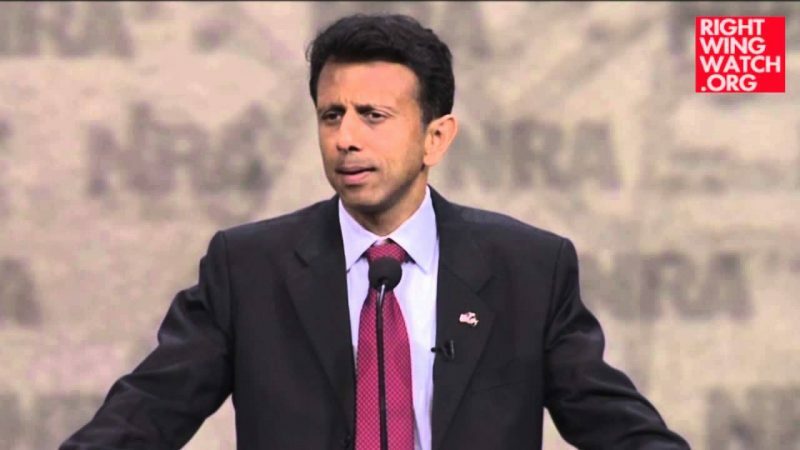 While Fox News retracted its claims about such zones after experts said that the charges were completely baseless, Jindal has turned the belief in no-go zones into a major campaign theme. An opponent of abortion rights “with no exceptions,” Jindal signed legislation that would have shut down all of his state’s abortion clinics if not for a federal judge’s decision to halt its enforcement. He also signed laws limiting insurance options for women seeking abortion care and mandating that a woman undergo a medically unnecessary ultrasound before being allowed to have an abortion. Jindal has led an aggressive push in his home state for the privatization of public education and the taxpayer funding of religious schools, even directing taxpayer dollars to schools espousing Creationism, which he said would let kids “be exposed to the best facts.” Unsurprisingly, these policies have failed to improve education outcomes in the state. Jindal was at one time a strong supporter of the Common Core education standards: He once called Common Core’s adoption a key part of his education policy and was featured in a U.S. Chamber of Commerce advertisement promoting the standards. But Jindal has since done an about-face to get behind the growing Tea Party and Religious Right hostility to Common Core. The Louisiana governor is now touting his opposition to Common Core in front of conservative audiences and implying that the standards entail a surreptitious socialist agenda. Jindal’s new line on Common Core plays right into conservative conspiracy theories about the standards, including claims that they represent a federal government takeover of the education system and will indoctrinate students into left-wing politics. 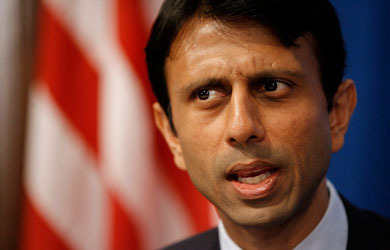 Louisiana’s state board of education has ignored Jindal’s reversal and is implementing the Common Core standards anyway. Jindal’s desire to appeal to right-wing conspiracy theorists has even led him to wade into the issue of President Obama’s citizenship, supporting a “birther bill” under consideration in the state legislature in 2011. 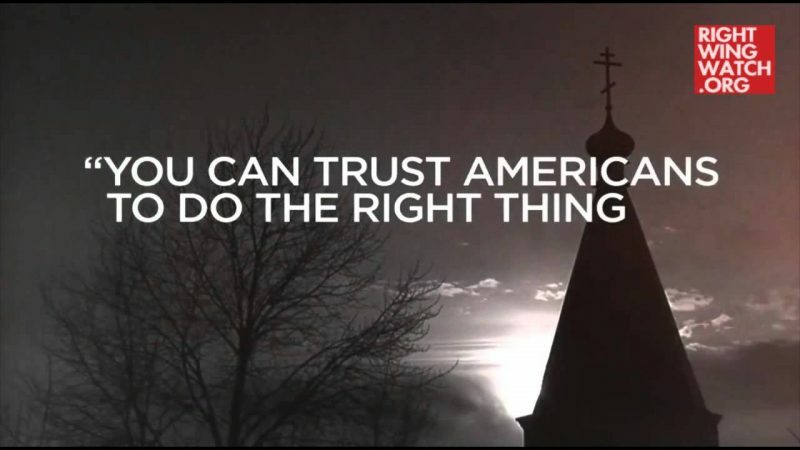 Jindal has repeatedly suggested that Obama neither understands American values nor loves America.